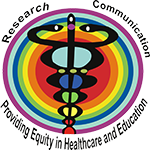 Today a significant part of traditional knowledge, related to medicinal plants, is being eroded due to modernization and availability of alternatives. 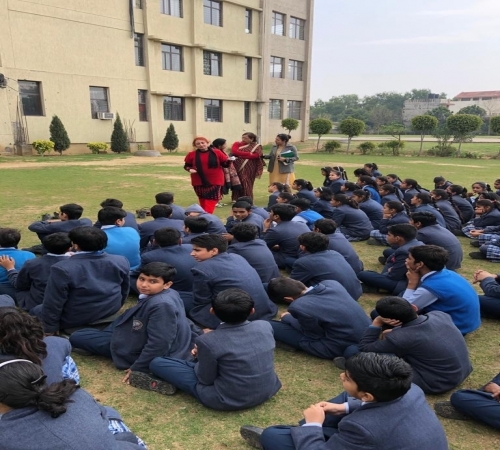 Therefore, it is imperative to inculcate in young minds the fascinating knowledge and traditions associated with these resources, and help them understand the immense potential the medicinal plants possess for the future. 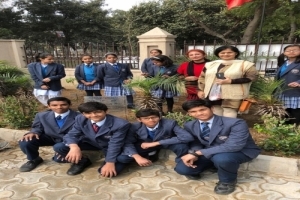 Setting up of herbal gardens in schools is a unique project that aims to reach young minds and make them acquainted with the commonly available and frequently used medicinal plants. 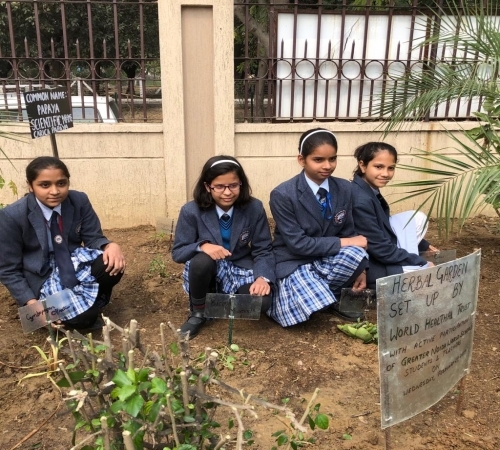 The programme primarily focuses on encouraging schools to set up herbal gardens within their school, inside their campus or the boundary area. 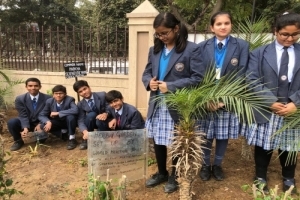 Students are involved in labelling the plants, watering, weeding etc. 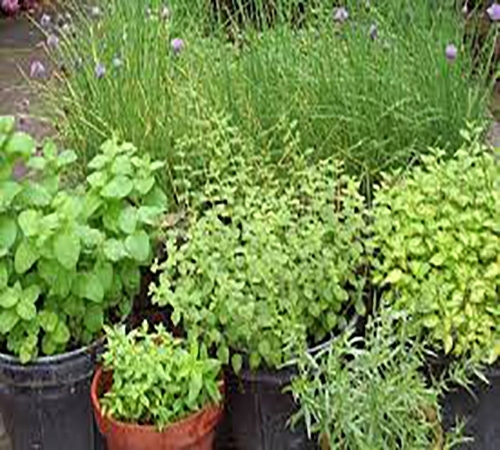 which sensitizes them on the importance of medicinal plants in daily life and uses of the species nurtured by them. 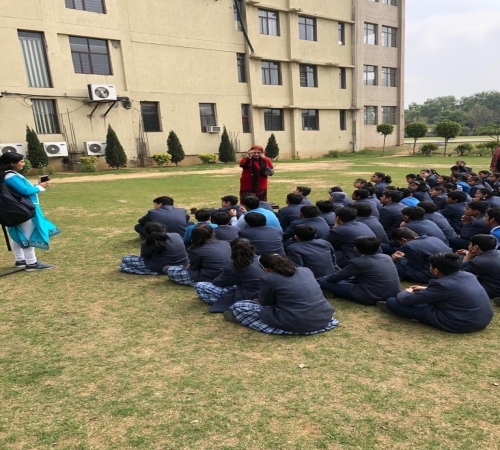 Interactive communication activities enhance students'' understanding of the medicinal value of various plants, sharing their interesting recipes of home remedies for common ailments. 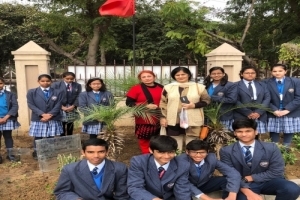 A herbal garden was set up by World Healthal Trust in the campus of Greater Noida World School on February 27, 2019. 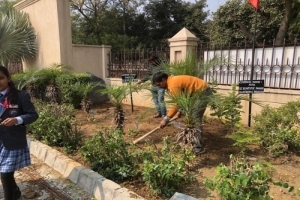 The medicinal plants provided were: Aloe, Elaichi, Bryophyllum, Brahmi, Tulsi, Marua, Curry leaves, Pudina, Lemongrass, Hadjod, Ajwain and Garlic. 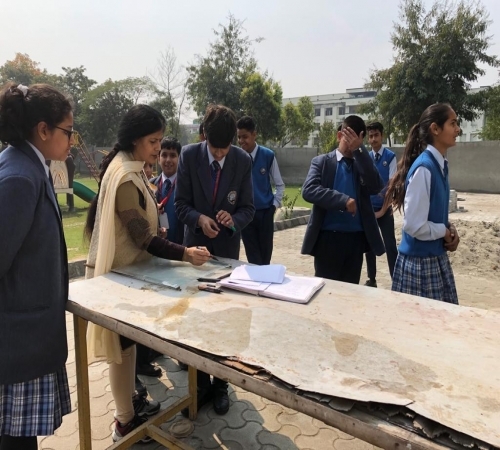 The students and teachers actively participated, making this fun-filled activity a memorable, learning experience for all.